Toyota is a Japanese multinational automotive manufacturer and the second biggest car manufacturer in the world (second only to the German Volkswagen Group). Toyota prizes itself in being a company that consistently creates some of the most advanced, reliable and safe vehicles in the whole world and that it is always open to innovative ways to further its knowledge and to present the best possible car to the consumer. Toyota aims to build cars that are able to satisfy and even anticipate your needs in this rapidly changing world whilst keeping its commitments to sustainable mobility and advanced safety technologies. Toyota also offers a wide range of possibilities to get used cars on finance to make sure that they're able to offer to Toyota experience to everyone, see this offers available for Toyota models starting from 50 per month. At South London Car Sales you'll find the fantastic price of just £2,295 on this Toyota with 104010 miles clocked-up on the dash. 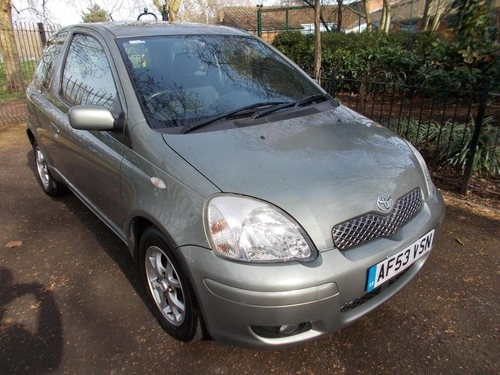 If this Toyota YARIS is what you are looking for, don't hang around. Find out more about this vehicle online or from a member of our sales team before it's too late. A 5 door Hatchback car manufactured by the Toyota company that gives drivers a higher level of dependability and a more reliable performance than most ordinary models. It comes fitted with Automatic transmission, a 1000 cc Petrol engine and has 17260 miles on the dash. On offer at the amazing price of only £5,295 or with the possibility to buy using finance with affordable instalments on offer from £122.16 per calendar month. 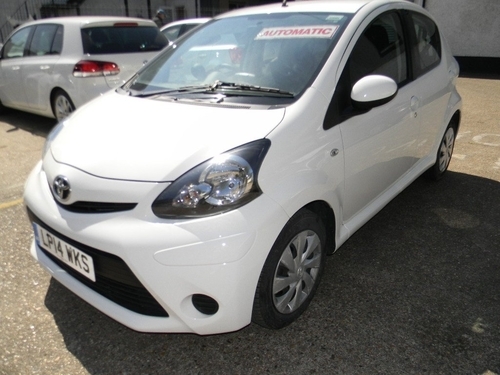 For more information about this Toyota AYGO 1.0 VVT-I FIRE MULTIMODE , contact the knowledgeable staff at South London Car Sales and find out what more this motor has to offer. 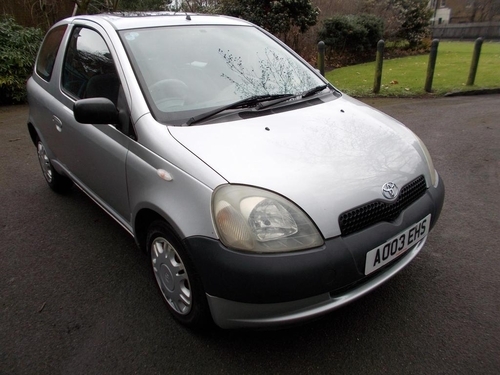 Make sure you don't miss out on this Silver Toyota YARIS with a Manual transmission and a Petrol, 1.0 LTR engine. Available at our marvellous price of just £995. Call or email South London Car Sales in London today and learn more about this Hatchback motor. On the market is this low mileage,﻿ highly sought after Hatchback Toyota that has a Manual transmission and 1364cc Diesel engine. Additionally, for your peace of mind, this particular YARIS from our dealership also includes its full service history. This car is in London. However, this dealership might be able to get it to your location. Phone them for additional information. Currently available to drive away is this second hand PRIUS+. It has clocked-up 70000 miles and incorporates a 1.8 litre Hybrid engine with Automatic transmission. Using manageable repayments starting at around £191.37 every month this dealership also gives its customers the option to pay for this used car with a loan. 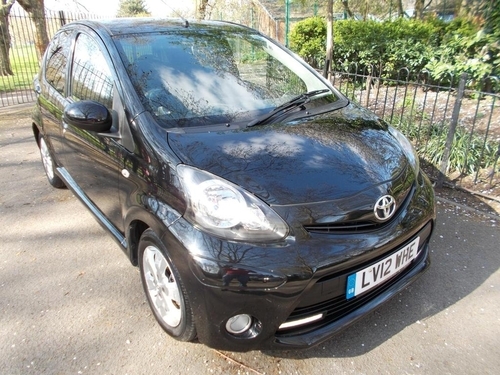 On offer is this Toyota AYGO that possesses a Petrol 998cc engine, 6800 miles clocked up on the dash and a Automatic transmission. At the brilliant price of just of £6,694 and achievable repayments on offer starting off at only £154.43 pm. This AYGO VVT-i Move Multimode comes ready with a substantial range of added features, including: With manageable repayments on offer starting off at around £154.43 per month, this used car could be all yours to drive home before you know it. Best known for its dependability, this Toyota comes equipped with a Hybrid 1500cc engine with a Auto transmission. This second hand model being offered by Cargiant has 17760 miles clocked up on the dashboard. It is available at the really amazing price tag of only £10,799 or by making convenient monthly repayments beginning at only £249.14 per calendar month. To be the next happy owner of this Toyota YARIS, contact us online or give us a call to talk to our sales team and be the one to get this amazing bargain before it's too late. An incredible price of just £11,499 is currently being advertised by this dealership for this trusty Hatchback. It is a pre-owned vehicle, but in like new condition both in and out. Take an up-close look, explore all of this YARIS's specs and features. Test-drive it at Cargiant in London. Located at our dealership in the London area is this YARIS 1.4 D-4D Icon featuring Manual transmission with a 1.4 Litre Diesel motor. On offer in the shade of Silver. To make an appointment for a test drive in this Toyota - simply get in touch with a member of their friendly team. On the market and ready for its next owner to drive away is this second hand YARIS 1.3 Orange Edition. This particular car features Manual transmission and a 1.3l Petrol engine. Be the new owner of this Toyota YARIS 1.3 Orange Edition; act quickly and give a call to us at Cargiant at a time that suits you to secure this Toyota right away. Have a look at this dependable and durable Toyota which is in Britain's top 20 reliability index. Call or email this dealership's customer care team to organise a test drive. Go for a test drive in this Toyota AVENSIS equipped with Manual transmission and a 1600CC Diesel engine. This second hand one located in London is available for just £9,999, comes in White and has 60009 miles on the clock. Book a meeting with the helpful sales department and see what credit options are available. Repayment plans commence from only £230.68 monthly. Currently available for sale - second hand Toyota AURIS 1.4 D-4D Active containing a 1400cc Diesel engine with Manual transmission. At the marvellous price of only £7,999 from Cargiant located in London. This particular second hand vehicle is located in London. Have a chat with Cargiant to find out more about this car's specifications. Up for sale is this AVENSIS 2.0 D Business Edition in the shade of Blue - it is equipped with a 2.0 LTR Diesel motor with Manual gearbox and has got 42888 miles on the dash. Get down to Cargiant soon and find out more about purchasing this motor. Thinking of going for a AYGO? Well, take a look at this particular one, it has a 1.0L Petrol motor with Manual transmission. If you require any additional info about this second hand 1.0 X-Pure, simply get in contact with us or go down and see a member of our professional team at Cargiant. UK top 20 ranking for reliability and trustworthiness - this AYGO 1.0 X-Pure incorporates a 1.0 Ltr Petrol engine and Manual transmission. It has few miles on the clock and is on the market in a White finish. It could be the one for you if you're on the lookout for a vehicle that's been created to have durability in mind. Learn more about this Toyota and why is ranked as one of the top twenty, most dependable and trustworthy models in the UK, simply chat to one of the helpful advisers at Cargiant. 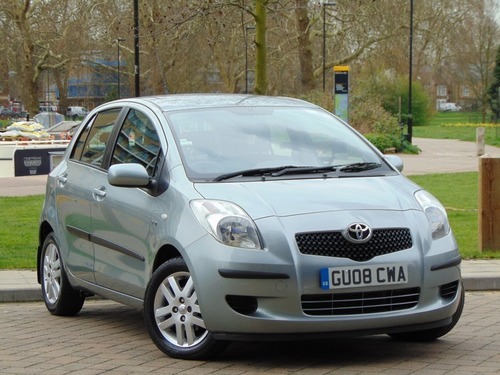 This YARIS for sale priced at £9,299 has clocked up 41360 miles and has been finished in the tone of Blue. Speak with Cargiant in London and test drive this trustworthy Hatchback. Showing 1-18 of 11,758 items.